As a young athlete, progress is the only thing that matters next to winning. 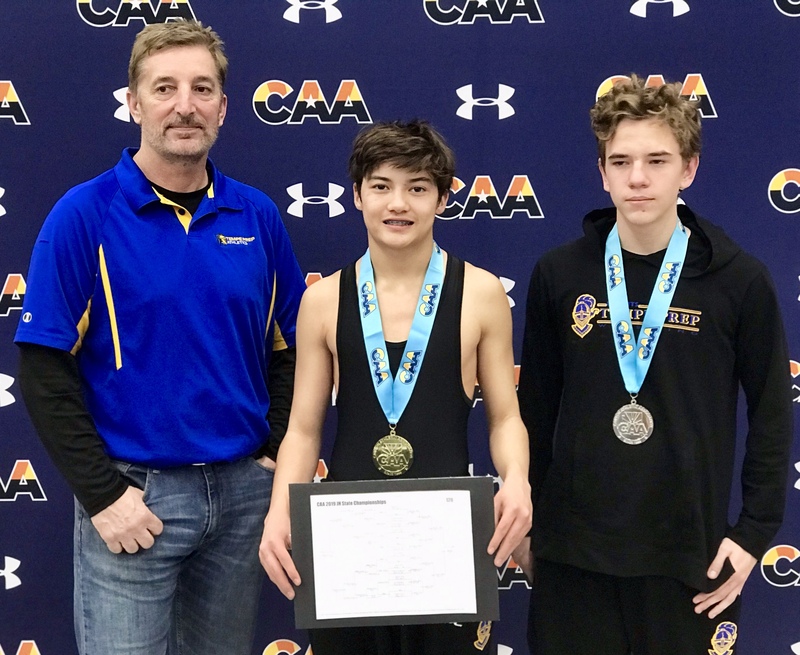 Luckily for Tempe Prep eighth graders Nick Murray and Ben Moriarty, not only did they progress, but they won, taking first and second place respectively in their weight classes at the CAA Middle School State Championship meet. The Chandler Prep tournament was the most exciting tournament, as it featured all the new wrestlers in their first matches, as well as wrestling veteran Louis Ternyik, who went 7-2 in the tournament, an amazing record for a sophomore in his weight class. While the less experienced wrestlers did not win as many matches, they did a great job for being fresh on the scene, and learned more about the sport than what they could at practice. In total, these athletes have not only learned about the sport, but have begun to compete at a higher level, one that will be hard to keep up with in the years to come. Article by Hayden Sampson, a student staff writer for De Equitibus, Tempe Preparatory Academy’s student newspaper. Previous articleMenopause The Musical is Coming to Arizona!